Opened August 10, 2005, this apartment complex was named in honor of Mr. T. P. White in recognition of his many years of service as a member of Pathfinder's Board of Directors. 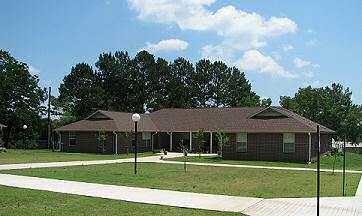 Located in the town of Haskell this facility is home to 14 individuals. Pathfinder Supported Living Apartments provide a carefully balanced framework of home environment, specialized professional services, and a gradual decrease of supervision to encourage self-respect, responsible judgment, and practical life experiences. Progress is monitored with the development of an individualized program plan and through measurable outcomes that teach self development, decision making, and home management skills. A vehicle is provided for the staff to transport residents to jobs, shopping, entertainment, etc.